Jones, Keith. A Series of Lectures on Shakespeare. Vietnam National University—Hanoi. 7-10 March 2016. After too many hours of travel to count, I have arrived in Hanoi. The city is fabulous, the people are delightful, and the food is terrific. I wandered around Hoàn Kiếm Lake today, soaking in the atmosphere and adjusting to the jet lag. I met an Australian couple and took their photo by the lake. They were amazed that I would travel so far to speak about Shakespeare. I feel very much like the actor in A Dream in Hanoi who felt like catching up all of Hanoi in a net (for which, q.v.). In that clip, in fact, he's drawing the Turtle Tower in the lake that's just a stone's throw from my hotel. An English teacher and her students asked if they could practice their English on me as I walked around the lake. When she heard that I was a Shakespeare scholar, she remembered having read Romeo and Juliet some time ago. 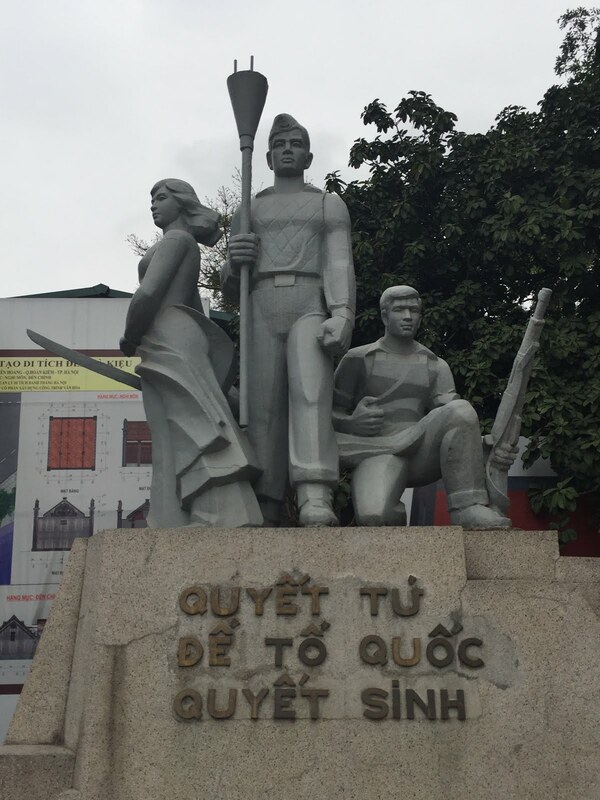 The students were interested in telling me the legend of Lê Lợi, the great hero of Vietnamese history. They told of his magic sword, his rallying the people, and his victories to establish independence, bringing Vietnam out of Chinese rule. You can read more of his story over on Wikipedia. Just as I started to tell them about Henry V, they said they had to go. The lectures will start on Monday. Perhaps I'll be able to work in some of the story of Lê Lợi somewhere!